Crown Prince Frederik of Denmark, opened the first solo architecture exhibition by renowned Danish architecture firm 3XN in North America. 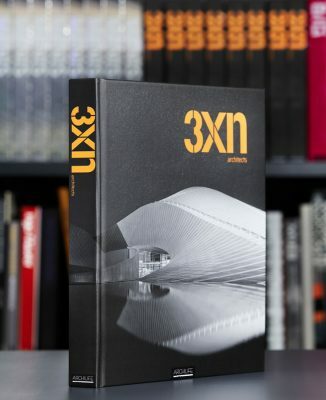 This massive, beautifully rendered monograph on 3XN, known for creating architecture in the nexus between science and art, between iconic design and human values, documents 32 projects through photos, critical essays, case studies and interviews. 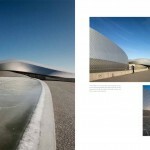 Projects include high-profile buildings such as the Danish Embassy in Berlin, Ørestad College, The Museum of Liverpool, Stadshuis Nieuwegein, The Blue Planet and The UN City. Smaller projects like the Louisiana Pavilion and NOMA Lab give an insight into the work of GXN – the practice’s innovation unit, which constantly seeks to apply the latest knowledge on behavioral design, new materials and green technology into the work of the office. Over the past 20 years, 3XN’s architecture has continued to develop in a direction where the design driver is how architecture shapes behavior. 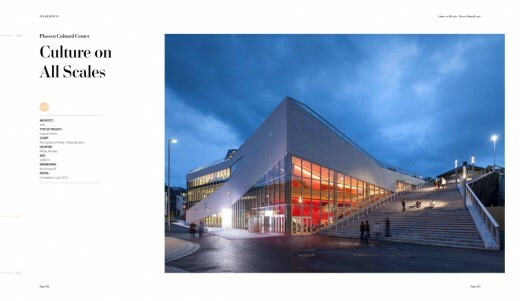 Projects such as The Museum of Liverpool and Molde Cultural Center have become a catalyst and nexus for the area they are placed in. Likewise, Ørestad College and Nieuwegein City Hall are examples of projects where the inner space and staircase generate synergy, interaction and communication between people circulating throughout the building. The monograph is published by Archilife and includes an introduction by philosopher and architecture critic, Christian Bundegaard, interviews with 3XN’s founder and creative director Kim Herforth Nielsen and head of competition Jan Ammundsen while architectural photographer Adam Mørk’s beautiful photos tell the visual story of one of Denmark’s most innovative and international architecture firms. Throughout the years, The Danish Architecture Studio 3XN has built a profile focusing on the humanity and environment at the center of its architecture. At 3XN, we believe that Architecture shapes behaviour. Our role is not just to create beautiful monuments, but equally important, it is to create the framework which works towards a better environment and a greater enjoyment for those who will be using the building,’ says Kim Herforth Nielsen, who shares the partnership with CEO Bo Boje Larsen and Head of Competition Department Jan Ammundsen. With approximately 400.000 visitors in two months, there is no doubt that the Museum has endeared itself to many from Liverpool, the UK and around the world. 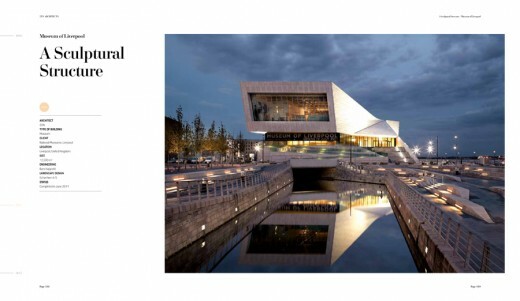 The Museum is formed as a piece of land art, which has transformed Liverpool’s waterfront promenade from a sad and industrial-like area to a now very inviting landscape, where the Museum provides shelter and views while giving Museum goers a new way of discovering Liverpool. During the past years, 3XN has been ground breaking in the development of a more green and sustainable building industry. 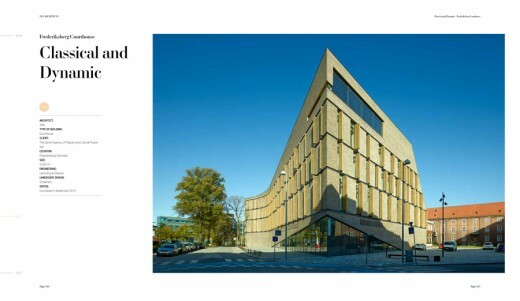 The Research and Development department, GXN is composed of a team of architects, designers and engineers and develops new innovations, among others bio-composites (building materials made of natural products such as flax fibres and cork, which in the future can can replace energy demanding traditional building materials. Architecture is creative futurology. That is why we always try to understand the context in which we build – the physical surroundings as well as the social, cultural and historical context in general. It is a process that is ultimately about the people who will live in the buildings for many years to come. This dialogue often continues long after construction is complete. Architecture is story-telling. We listen to the story the site is telling us, and that story becomes part of the concept we develop. We investigate the site and we ask people questions in order to find the story the building should tell. This is the process we have summoned with the words ‘investigate, ask, tell, draw, build’. Architecture creates behaviour. That is why we try to create places where people can interact and communicate and where synergy can grow. We believe that buildings, like people, are more than just the sum of their many parts. We believe that it is possible to achieve a synthesis of design, function and context. That is why a holistic approach is our guiding principle, and why we are forever exploring the possibilities of building better, cleverer, more beautifully. Right from the start, with just a few works completed, 3XN positioned itself as a professionally conscious and artistically ambitious practice. A first breakthrough came with the court house in Holstebro (1992), which was followed by a number of first prizes in architectural competitions, such as the Architects’ House in Copenhagen (1994) The Glass Museum in Ebeltoft (1995) the Oceanarium in Hirtshals (1996), the Danish Embassy in Berlin (1998). A concert hall, the Muziekgebouw in Amsterdam, completed 2005, together with Museum of Liverpool (2004-) and the Cube in Berlin (first prize 2007), marks the focus on culture buildings and prestigious international competitions, without, however, compromising on the continued development of original solutions in plans, facades and organisation of the interiors. This two-fold ambition shows in the Danish upper secondary school Ørestad Gymnasium (2004-2007), which has revolutionised school architecture and attracts interest from all over the world. Together with a number of original corporate headquarters designs such as FIH, Deloitte, Saxo Bank, Horten and KPMG, this became e new platform for the practice. 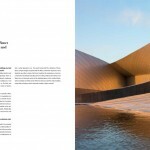 Daring concepts and design also characterize master plans and housing projects like the Lighthouse in Aarhus and the new Denmark’s Aquarium, The Blue Planet, in Copenhagen. The latter being a spectacular design inspired by a whirlpool, which one critic in the Danish daily Politiken found so original as to warrant a comparison to Jørn Utzon’s opera house in Sidney. The firm comprises of two offices each with a staff of 60 – one in Kystvejen in Aarhus, and one in Strandgade in Copenhagen. We work, however, as one practice continuously interchanging ideas and staff between the two offices. We operate in a project-oriented network structure, and at every stage we team up in workshops with partners, experts, users etc. At the workshop we discuss the results of our research, develop the concept and a framework for the design work. We work with cardboard models a lot, as they help us to share, discuss and evaluate different spatial solutions. Our staff is a mix of experienced project architects and talented, young design architects. Each project team is headed by two partners, a contact partner and a backup partner, a head of project, a project manager, who might be a project architect, or a planning manager, as well as a design manager. The managerial functions are the responsibility of the experienced senior architects in the team. The project teams are composed of staff with a variety of expert competencies to ensure that every assignment is carried out optimally. At the end of each planning stage, we evaluate the process with regard to the dialogue with the client and partners, finances and time-frame. 3XN has six partners: The founder of 3XN, Kim Herforth Nielsen, MAA/RIBA, is the principal architect with overall creative responsibility. Kim Christiansen, MAA, is CEO and responsible for administration, finance, contracts and for 3XN Aarhus. Bo Boje Larsen, MAA, is Managing Director with main responsibility for strategy and organisation and for 3XN Copenhagen Jan Ammundsen, MAA, is head of the Competition Department at 3XN Copenhagen. Michael Kruse, MAA, and Tommy Bruun, MAA, head up the Competition Department at 3XN Aarhus. The 3XN Board consists of the lawyer Torben Winnerskjold (chair), Managing Director Caroline Søeborg Ahlefeldt-Laurvig-Bille, Managing Director Lars Frederiksen, MLL, Kim Herforth Nielsen, Bo Boje Larsen and Jan Ammundsen. January 9, 2019 in Architects.